Today started my 3 day Elks DAP Auburn, California tour. I presented three 45 minute presentations to students at Bear River High School. We discussed the dangers associated with marijuana use and the impacts it has on our bodies and minds. I brought my humor and knowledge to the stage in the hope that these students will carry the message to their peers. 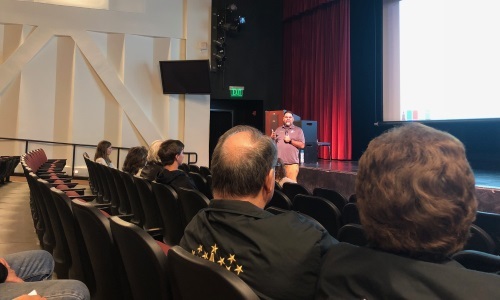 Then this evening I conducted a 60 minute parent training on how to talk to adolescents about alcohol and substance use but don’t know how to get started. This training was open to the public and is designed for parents, counselors, teachers church members, family members, Elks members and whomever feels they need help. This tour was sponsored by the Elks Association State Drug Awareness Program (DAP).